New York City, home to 8 million inhabitants, and most of them immigrants or transplants from other places. 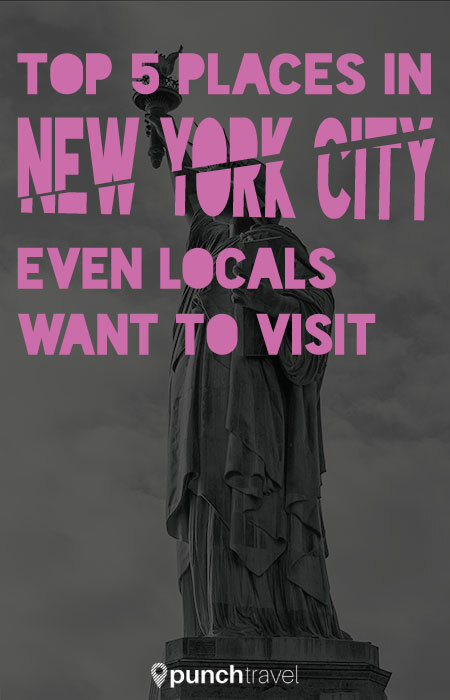 With those odds, you probably know someone who lives in New York. It could be your college roommate, your dentist’s daughter, or your childhood neighbor. For me, I was that person living in New York, and many times a year I would find myself hosting family and friends who wanted a taste of the Big Apple. Oh yeah, and to see me too of course. Next time you find yourself calling on your New Yorker friend for a visit, suggest these 5 places to see in the city. You’ll be surprised to find that your friend won’t mind showing you around, because these are 5 places that even locals don’t mind visiting. Which little island is located between Manhattan and Brooklyn and is only accessible by ferry? No it’s not Staten Island, New York City’s fifth borough. 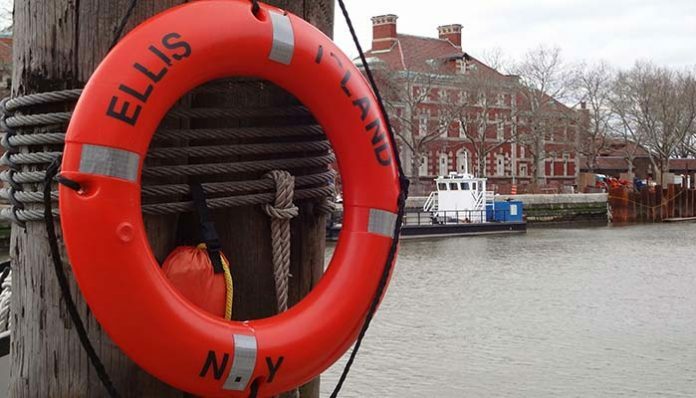 It’s Governors Island, the 172 acre island just off the southern tip of Manhattan. Until 2003, Governors Island was a military base for the US Army and Coast Guard. Since then, Governors Island was transformed into a seasonally-open (approximately Memorial Day to end of September) national park. It is home to annual events like the Jazz Age Lawn Party and the Unicycle Festival. There are also rotating art exhibits, live music, theater and activities, including bike rentals. But mostly people just come for its plentiful green space to picnic and barbecue while enjoying unparalleled views of Manhattan and Brooklyn. Be sure to catch it before the summer is over! Ferries leave from Battery Park and Brooklyn Bridge Park every hour. At this sprawling museum, there is something for everyone. 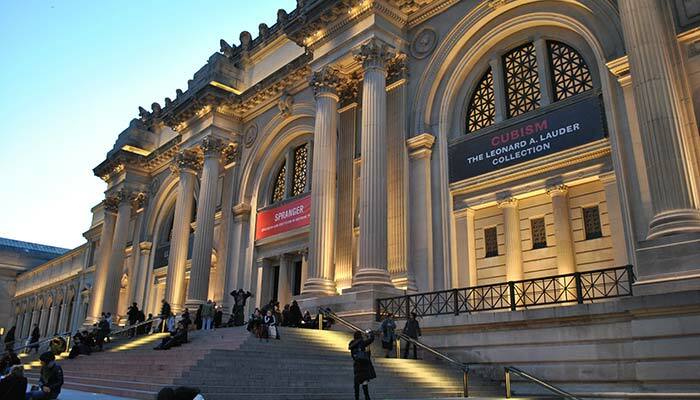 The massive museum is home to ancient crafts through modern art, from local New York artists to as far flung as East Asia. Spend the day getting lost in its many rooms and wander through art and artifacts from throughout history. View weapons from the middle ages, instruments from Africa and Victorian dining rooms. There’s also always a special exhibit on view to keep locals on their feet. A recent exhibit, China Through the Looking Glass, paired different pieces of art from China with high fashion influenced by these objects. Finally, do as the locals do. Take a break from your culture intake and go up to the roof of the museum. Here you will find a bar with a breathtaking views overlooking Central Park. Ellis Island was the first docking point for immigrants upon arrival in the United States. Today, it houses a large museum recounting the history of Ellis Island and the stories of the thousands of immigrants who crossed through its shores on the way to a new life. You can easily spend the whole day here browsing the exhibits. Ferries depart from Battery Park, and include a stop at Liberty Island, home of the Statue of Liberty. The top of the statue recently re-opened after a long hiatus, so catch the views from the crown before it closes again. 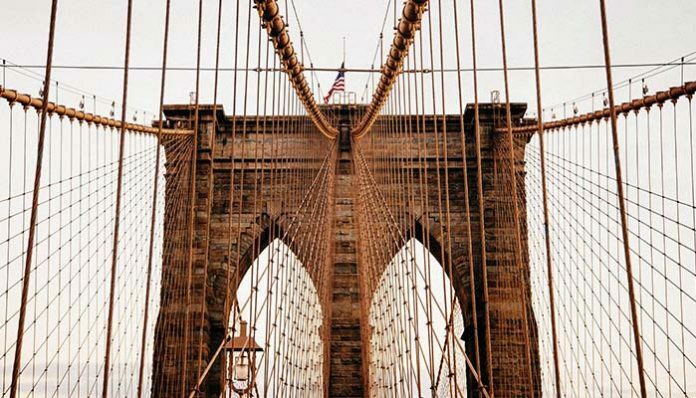 One of the oldest suspension bridges in the United States of its kind, this iconic bridge was built in 1883. Its majestic presence linking Brooklyn to Lower Manhattan is as romantic as it is made out to be in the movies. No matter how many times you traverse across the bridge, the views of Manhattan and Brooklyn are spectacular every time and. 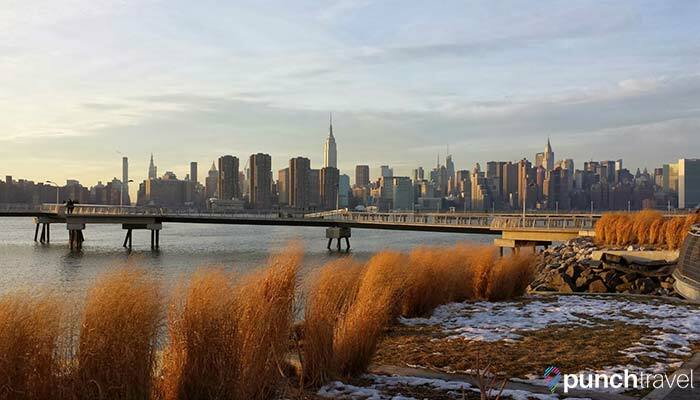 On the Brooklyn side, grab a bite to eat at one of the popular restaurants along the riverside. Expect long lines at iconic dining establishments like Grimaldis Pizza and Brooklyn Ice Cream Factory. Arriving on the Manhattan side, vendors sell cheap souvenirs and overpriced hotdogs. Instead take a quick walk to Chinatown or the Financial District for better eats. The largest park in New York City and the most visited park in the United States, Central Park is 778 acres of respite in the middle of a buzzing metropolis. It is the place where people go to relax, exercise, and escape the city without ever leaving. Within the park are several iconic spots. Beatles fans pay homage to John Lennon at Strawberry Fields, near the Dakota hotel where he was killed. There is also the Loeb Boathouse where you can rent a paddle boat and probably witness a marriage proposal. For kids, there is the Central Park Zoo, the carousel and plenty of playgrounds as well as Sheep Meadow for playing frisbee. Even though Central Park may seem like the most obvious choice of places to visit in New York, there is always something new to discover on each visit. Five iconic places in New York City that even your jaded New Yorker friends won’t mind visiting. Oh and one more thing, never, under any circumstances, will we want to go to Times Square. Times Square is awful. 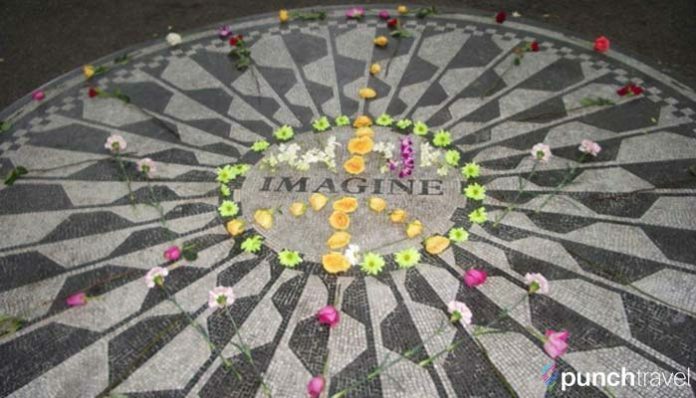 I’ve been to Strawberry Fields! And my relatives came on Ellis Island. Good list!